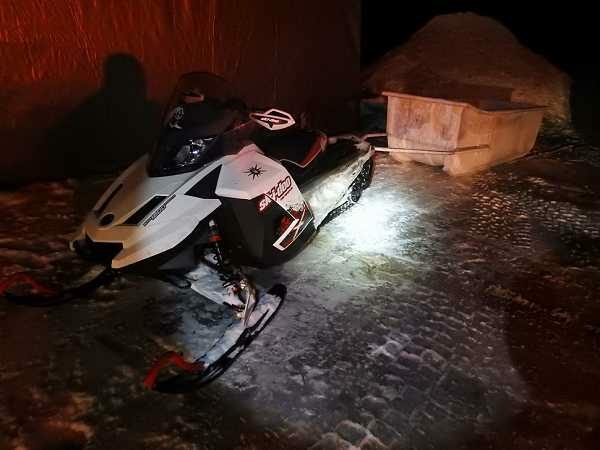 Cornwall, Ontario – On the evening of February 4, 2019, members of the Cornwall Regional Task Force (CRTF) were conducting a border integrity operation along the north shore of the St. Lawrence River when a trio of snowmobiles were observed travelling without headlights and approaching the east end of the City of Cornwall. A suspicious dark-coloured pickup truck with cap was seen entering the parking lot of the Children’s Aid Society building located on Boundary Road. Task Force officers disrupted the smuggling operation behind the building and safely arrested Jade Edward Martin (aged 24) of Akwesasne. Two snowmobiles parked behind the building fled the area and were last seen southbound towards Cornwall Island. 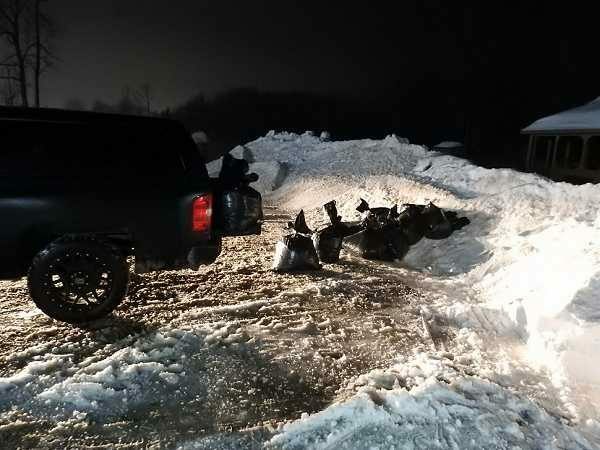 A 2010 Skidoo Renegade 1200 snowmobile with attached tub, and a black 2010 Chevrolet Silverado loaded with 42 bags of unstamped fine cut tobacco weighing 562.81 kilograms were seized at the scene. Martin will appear in court in Cornwall on March 26, 2019 to face charges under the Excise Act (2001). In the early morning hours of February 6, 2019, while conducting a border integrity operation along the north shore of the St. Lawrence River in South Glengarry, CRTF members observed a suspicious white pickup truck with cap matching descriptors from other recent smuggling events. The vehicle was stopped and was found to be fully loaded with unstamped, fine cut tobacco. The driver, Jeremiah Ingram (aged 59) and passenger Grayson McDonald (aged 19) – both of Cornwall – were arrested on scene without incident. 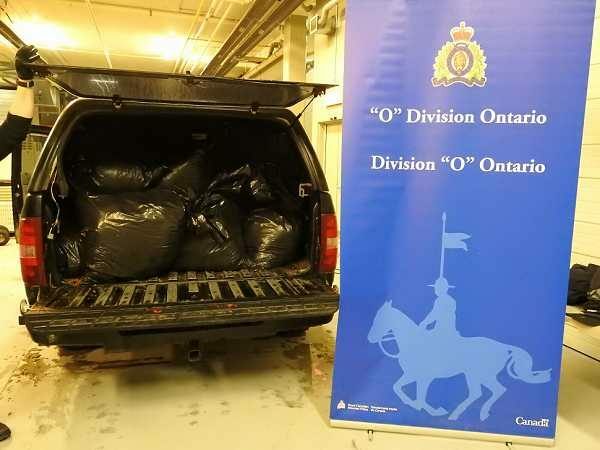 The truck a 2017 Chevrolet Silverado white in color was seized along with 38 bags of fine cut tobacco weighing 653.3 kilograms. Both Ingram and McDonald will appear in court in Cornwall on March 26, 2019 to face charges under the Excise Act (2001). A short time later, Task Force officers identified a second suspicious truck in the Summerstown area. Officers attempted to conduct a traffic stop – but the vehicle sped away. Both the driver Michel Leblanc (aged 50) and passenger Mitchell Bérubé (aged 24) were later safely apprehended. 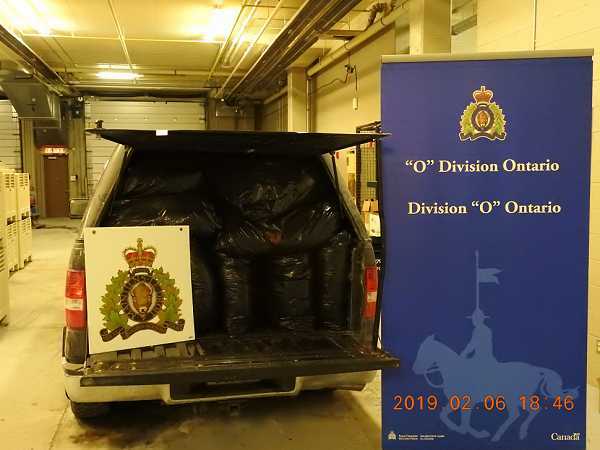 The truck, a black 2006 Ford 150 was seized and was fully loaded with 40 bags of unstamped, fine cut tobacco weighing 693.3 kilograms. Both Leblanc and Bérubé will appear in court in Cornwall on March 26, 2019 to face charges under the Excise Act (2001). Leblanc will also face charges of Flight from Police and Dangerous Driving. The individuals noted above, who have been charged under the provisions of the Excise Act, 2001, also face charges under the provincial Tobacco Tax Act for possession of unmarked cigarettes. If you have any information regarding criminal activity in your area, you can contact the CRTF at 1-613-937-2800 or call Crime Stoppers at 1-800-222-8477.